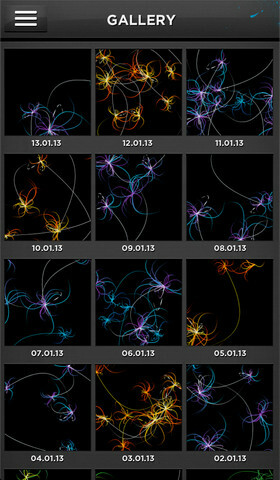 The winner of our Facebook Free App Poll this week is ibis Sleep Art – a free app that captures and sketches your movements throughout the night to create a beautiful abstract painting of your night’s sleep! Here’s how it works- you have to set up the Sleep Art alarm and place the iPhone on your bad. Please make sure that the device is plugged in and switched on before you go to sleep. Try to avoid picking up or touching the phone during the night, and once you wake up to an abstract painting of your night’s sleep will be available for sharing with friends and family via email or Facebook! • Data translated to ‘brush strokes’ to create the Sleep Art picture. ibis Sleep Art is available in the Apple App Store for free, so go and grab the app now and make your sleep a true work of art!